 Lifestyle companion to track your fitness, weight, diet, food & sleep. Stay fit, stay healthy. Burn those unwanted calories and turn into a new you. 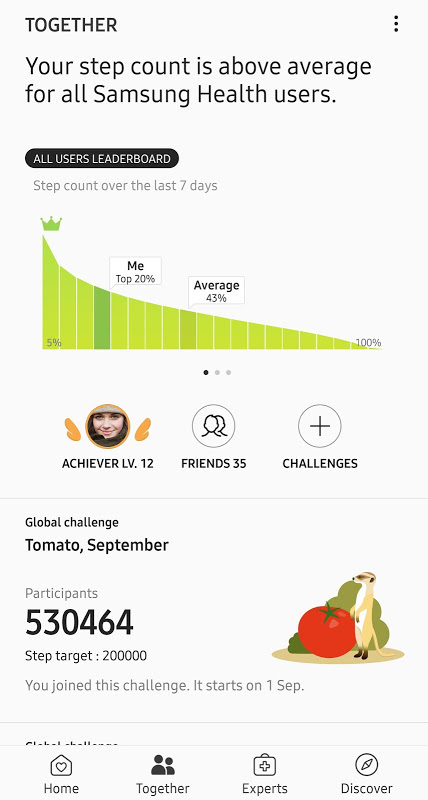 Samsung Health is the perfect app to put you on the road to good health. Track your food intake: Input your daily food, snack, water and caffeine and monitor your diet and weight on the go. In addition, it also offers adequate recommendations. 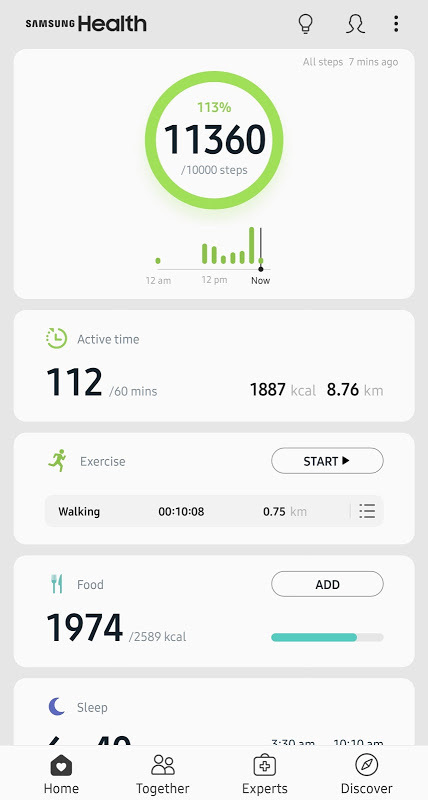 Add and track different activities: With inbuilt trackers, the app allows you to add and track any activity you want - whether it is running, hiking, cycling or anything else you do. Sleep and stress tracker: Know when you need to give yourself a break. Health and environmental trackers: With the help of inbuilt sensors and Samsung Galaxy and Gear devices, the app also measures and tracks your blood pressure, blood sugar levels, heart rate, stress, weight and more. Achieve your goals: Thanks to clever, comprehensive charts, handy tips, and exercise regimens, you can get great results. Personalized news updates: Follow the latest health trends and tips from professionals around the world based on your preferences Improve your ranking among your friends: After all, when it comes to fitness, a bit of healthy competition is always helpful. Support in 70 languages: Works with any major language you are fluent in. Carefully designed exercise programs: From Baby Steps to 5K, Run 5K and more, all our fitness routines are tailored to your needs and come with voice assist. Ready to take the first step towards good health? Download Samsung Health now. Tablets and some mobile devices may not be supported. Some functions may not be available based on regions/service providers/devices. Samsung Health requires Android OS 4.4 or above. Please note that Samsung Health is intended for fitness and wellness purposes only and is not intended for use in the diagnosis of disease or other conditions, or in the cure, mitigation, treatment, or prevention of disease.  Website: Samsung Health | Samsung Electronics Co., Ltd.
 Is Samsung Health yours? Claim it!